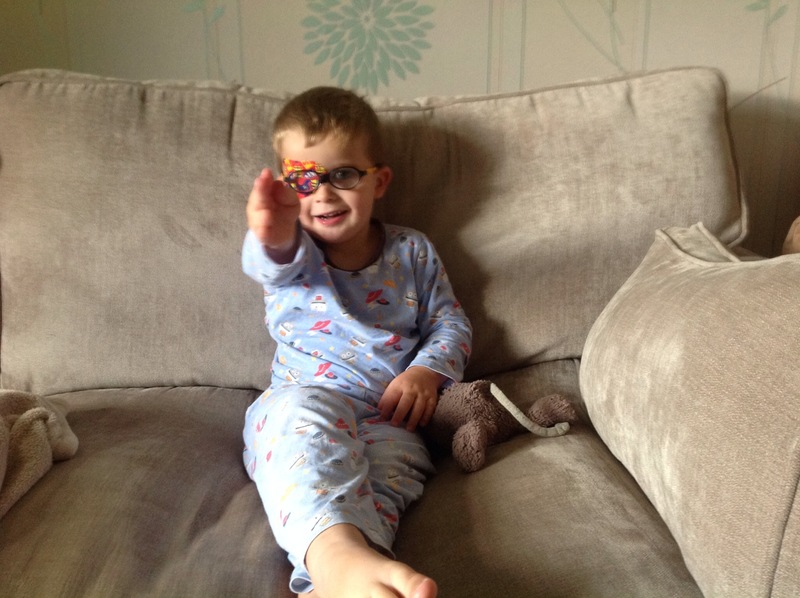 August is Amblyopia awareness month so we thought we would join in the awareness campaign with a photo and a little video about patching. These are brilliant and make such a difference to my little boy. We are lucky enough to get them from the hospital but I know not all hospitals offer these. It’s such a shame as they are so much more exciting than your plain patch. 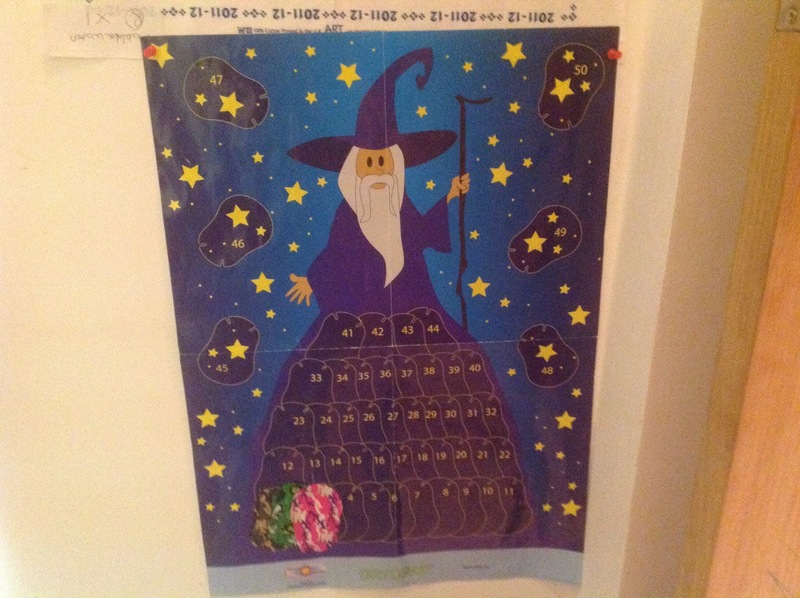 If you are not fortunate enough to get them for free, you can order them online and there are reward charts available. I really think they should be offered to all young children as it makes patching more fun. Obviously we still have days where he doesn’t want his patch, but that element of choice encourages him to do it, even though he doesn’t like it. In the early stages he said they hurt when taking them off, so we now stick them on our trouser leg before applying. KW2 peels them off himself quite happily, well not exactly happily, but you know what I mean. Invariably we have also had spells where he wants only a certain patch and we have none of that kind due to the fact he has worn nothing but those for a week! That involves some serious negotiating and coercing. Last time we went to the hospital they only had the style we have had the last three visits, or a girlie box. He chose the girlie box, much to his sister’s excitement. Baking with children… Not all it’s cracked up to be. 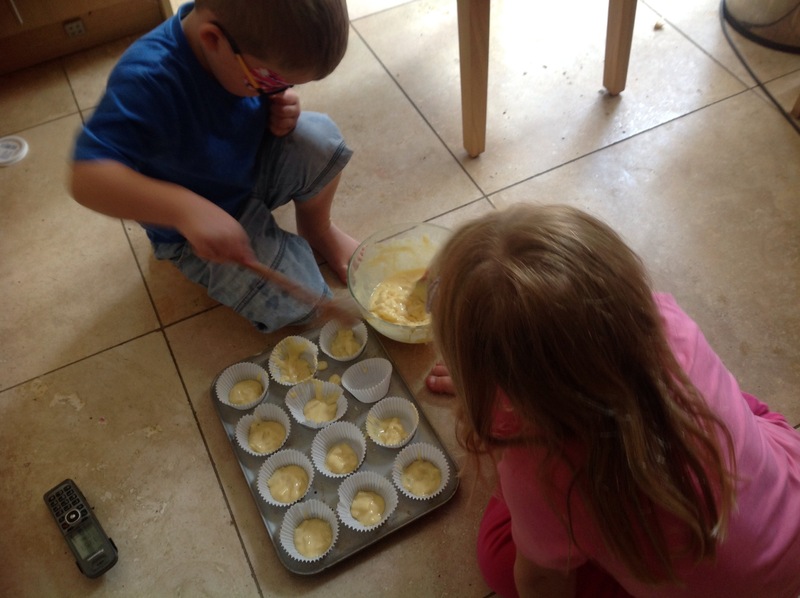 Why is the reality of baking with children so different from the reality? Baking in our house always ends the same way- in a mess, and often with arguments about stirring, pouring, weighing or even what to bake. Today, I decided as it was rainy we would do some baking while KW3 had a nap. After much debate over what to bake, we settled on chocolate molten cakes (eldest KWs choice) and tropical pineapple cupcakes (KW2’s choice). Even just pouring the flour from the scales to the bowl, results in spillage and consequently means the ratios are not as exact as I would like for cakes. KW2 constantly asks “can I lick the butter, flour, mixture etc”, eldest wants to do everything but had not mastered holding the bowl when stirring, and constantly needs reminding. Both of them getting upset if they perceive the other has poured more in, stirred for longer. Anyhow, it ended up with me doing the majority and the KWs making token stirs, weighing etc. They were desperate to put the mixture into the cases, but the mess that this causes ( and wastage) perturbs me and it wasn’t long before I took over. Is this how baking goes with other families? I have no idea, but it is from from idyllic in our household. The kids have a ball though! 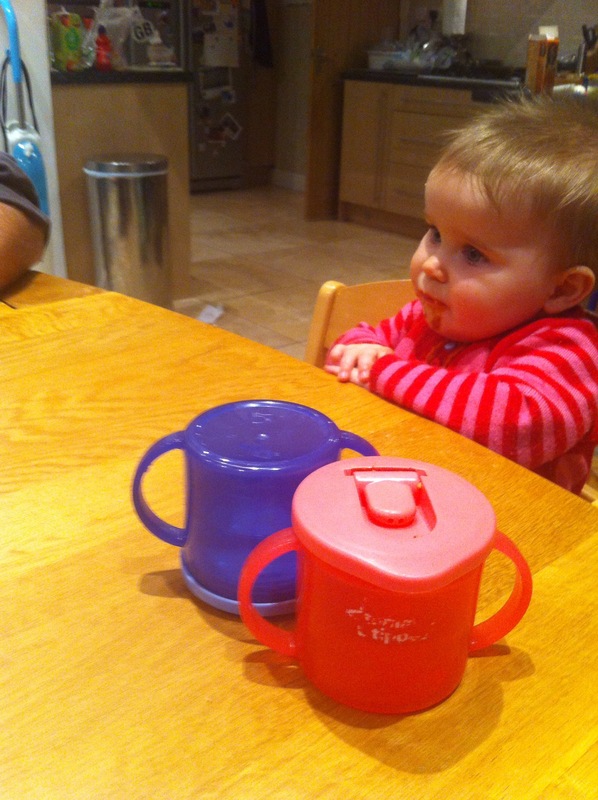 They particularly enjoy the eating… Licking the bowl and utensils is a must. The challenge is getting them not to steal a sneaky lick during the baking! When I first looked into cloth nappies, I couldn’t believe how many different types were available. I was expecting lots of white terry nappies, but to my surprise the reality of the cloth nappy world was poles apart from my expectations. It seems that after the birth of KW1 the cloth nappy market really began to grow and expand, particularly online and through social media such as Facebook. It really is mind boggling can appear quite daunting and scary! Here is a list of the basics that you need to consider when thinking about cloth nappying. 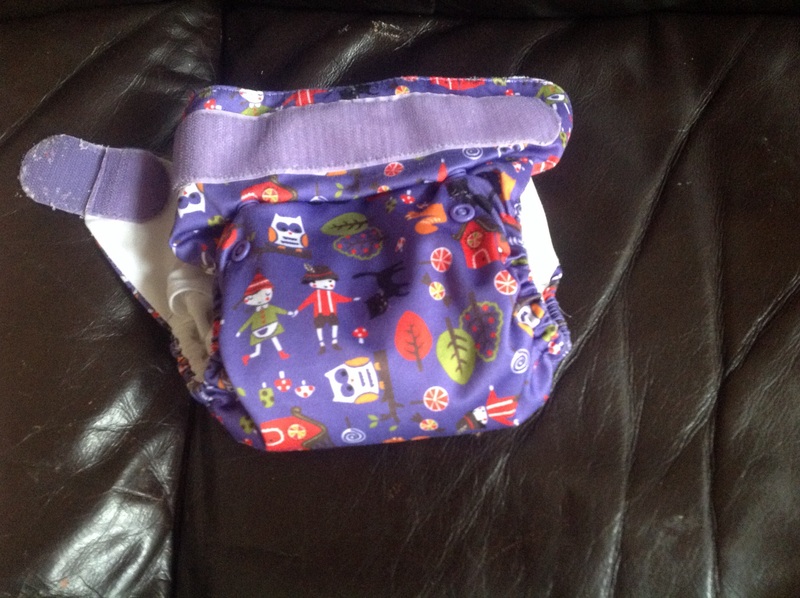 Fitted nappies– these are usually made of bamboo or microfibre and require a waterproof wrap. These have other parts that essentially snap into the nappy. Grovia is a hybrid but a bit like an all in two, the soaker snaps in and as unpopper prior to washing. Close parent pop in’s are a good example of this and again the prices vary. How do I choose which one? 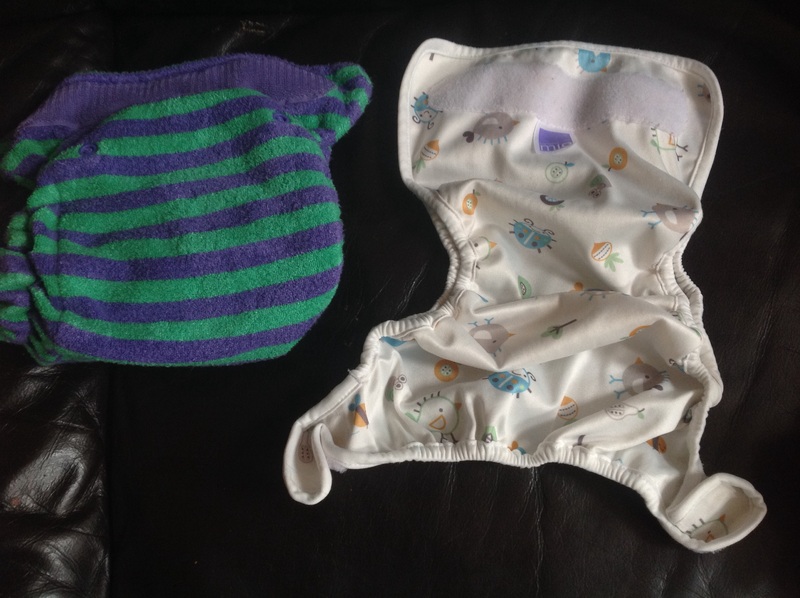 Different nappies work best for different babies; it can also be true that the same applies to adults (my hubby hates two partners as too faffy). Also, what works best at 8 months might not be the best with an 18 month old. 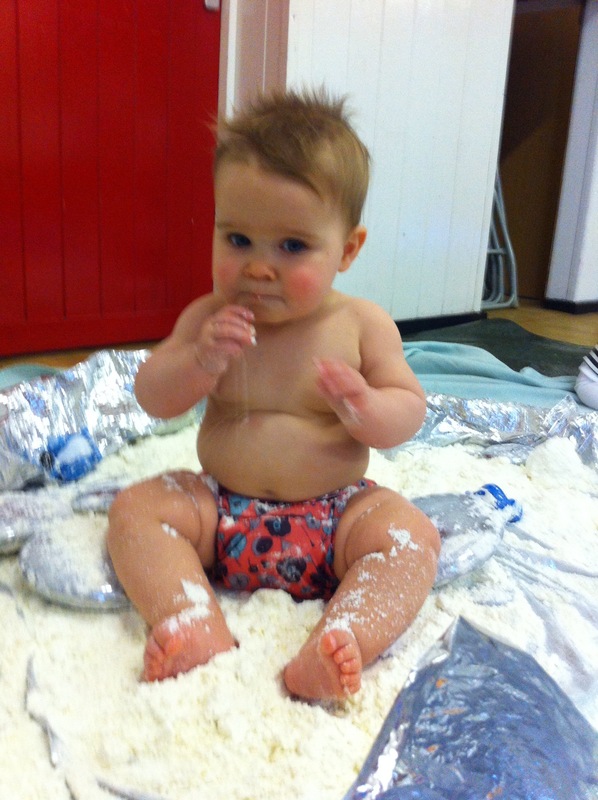 Chunky things, skinny thighs, potbellied, long bodies… All this affects how well the cloth nappy fits and contains wee and poo explosions. The nappy lady is a fab website which helps you establish which type of nappy might suit you and your baby best. 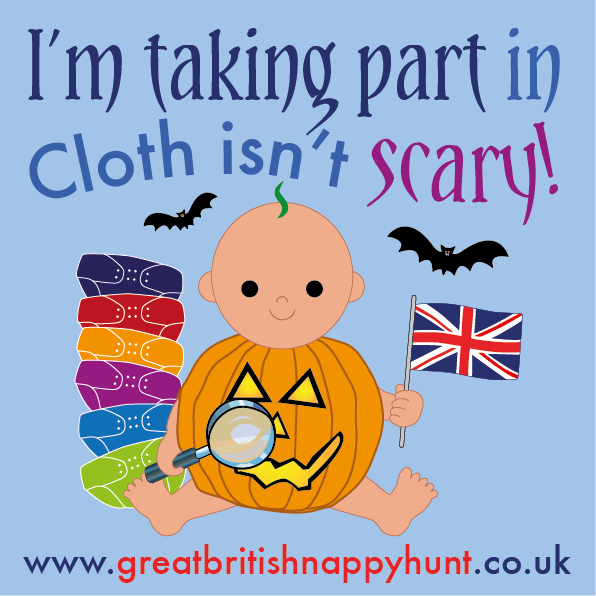 Goreal and The Great british nappy hunt are also fab websites to help, sometimes they have fantastic giveaways too. Lots of online retailers,with often lots of special offers (ebay/yellow bloom, tj cloth nappies, babipur, clean green nappy machine…) Check out your local council too, they may offer an incentive scheme. Cloth nappy libraries- kits to try out. Preloved is amazing for buying and selling, and if you look after them, you can sell them for not much less than you paid for them. 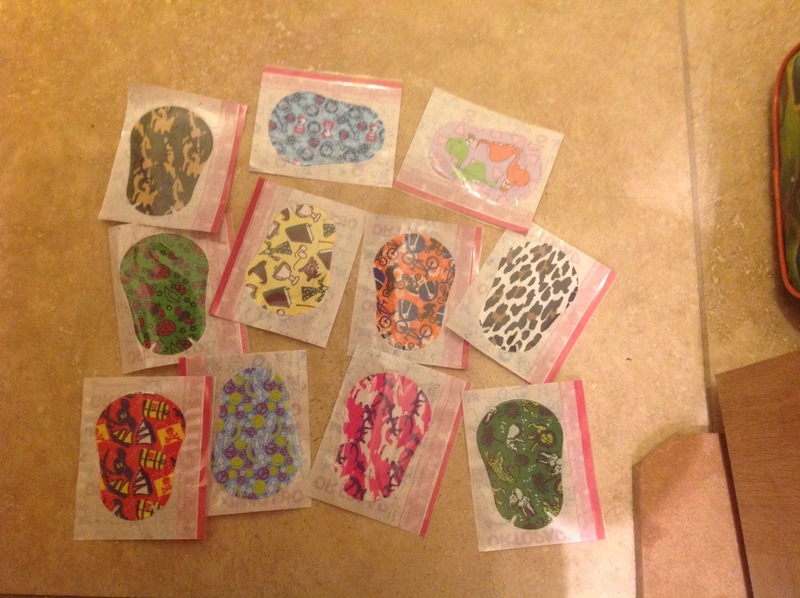 Wet bags for out and about, preferably zipped as they contain the smells better. If lots and lots of poo, I either wipe worst off with toilet roll and flush, or solid poo literally flicks of a liner into the loo. With disposable liners, just flush the lot. Easy peasy. 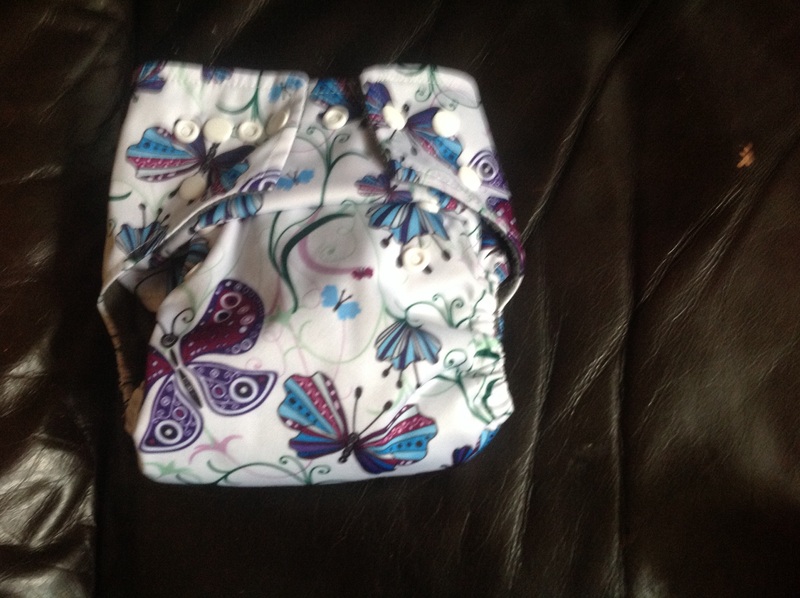 If out and about, throw the dirty nappy into the wet bag, if you use reusable wipes, you can just throw those in too. 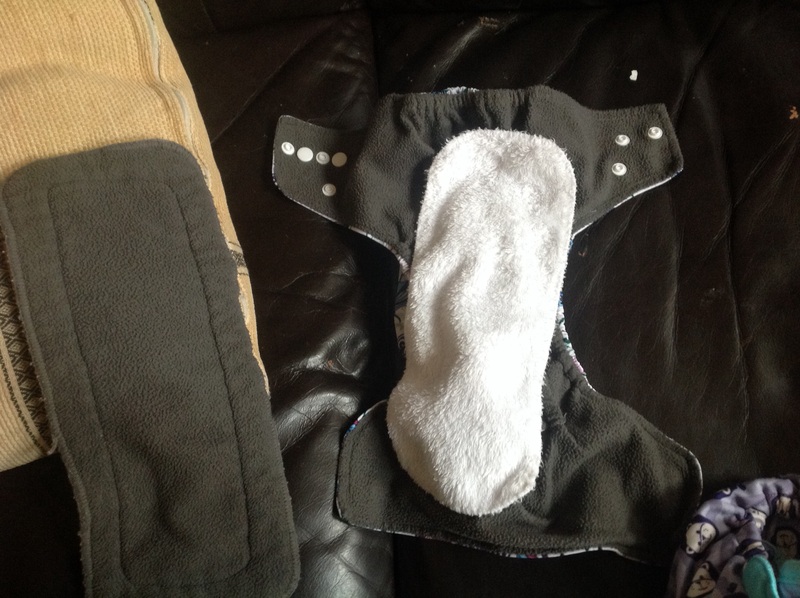 If at him, we store them in a lidded bucket until ready to wash.
We are cloth nappy converts, if I had known are easy they were and how gorgeous they were, I would have defintely have used them with Kiddiwink 1. She kept pointing at it and stroking it. When I told her it was because I was getting old. Baby signing? Is it a load of mumbo jumbo? When I began baby signing with my eldest kiddiewink, lots of people around me were sceptical…” Wouldn’t it stop them talking because they won’t need to talk?” “What’s the point?” ” you can sing to them at home and youtube signs” My mum in particular was dubious, as was my hubby. But hubby changed his view when he saw kiddiewink 1 signing for the first time. 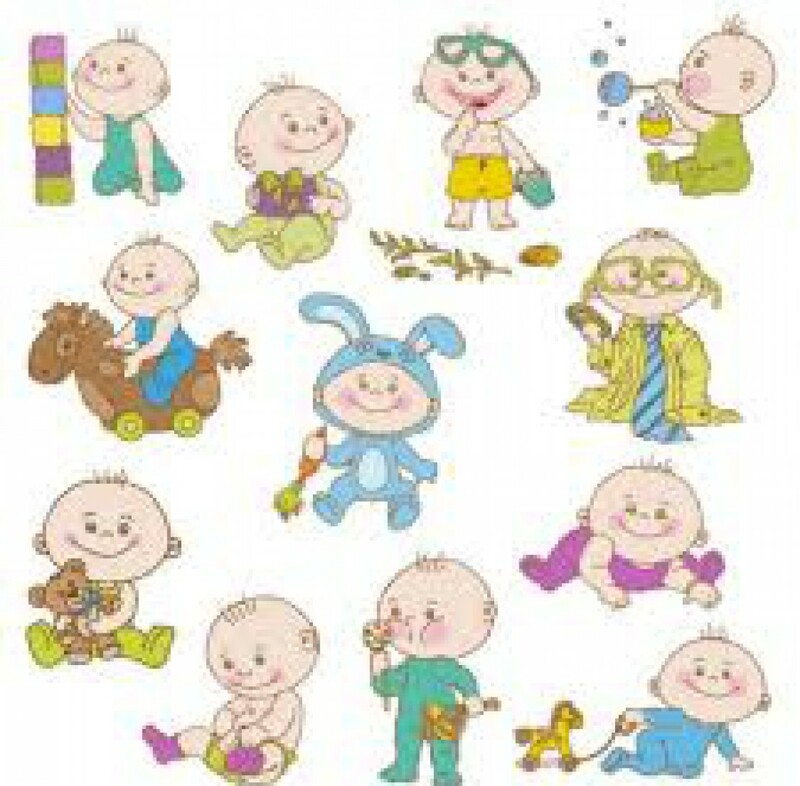 There are lots of baby signing classes about, but I loved my free trial of Tiny talk and when kiddiewink 1 was about two months old we started a Tiny Talk. We continued until she was about 2.5 years old (toddler class), I continued for a bit longer with her than I might have done, but there was no space for kiddiewink2 in the baby class, so he also joined in with the songs, usually with kiddiewink1 singing them with him. Very cute. Tiny talk was my favourite and I am excited about starting with kiddiewink 3 in September. Tiny talk,when we went, was a mixture of singing, instruments and story time. All included learning different signs. Now I believe there is also a fun sensory element. Kiddiewink 1 learnt the sign for more and milk by 4 months and quickly learnt other words, she enjoyed using them to communicate and as an adult, you say the word as well as signing, so it really does reinforce the spoken word too. The classes had a lovely friendly relaxed feel, with free play and snacks for the last twenty minutes or so. It was the only class I have ever done where you feel like your child and the experience is more than just a number through the door. Jenny the teacher is amazing and genuinely wants to get to know all the babies and toddlers. One particular time signing came in handy, was when kiddiewink 1 was 9 months, she woke screaming at about midnight. She had not needed a milk feed at this time since about five months, so we just cuddled, checked nappy and put back to bed. She just kept screaming even when we got her back out and cuddled her. Then I noticed she was doing the more sign repeatedly with her hands. We made her an 8oz bottle, she downed the lot and went straight back to sleep. Without that means of communication, she would have definitely had a bit more upset before we tried a bottle. At six months, she would do the doggy sign when at my mums and she very quickly learnt ‘daddy’ and used it to tell me she was missing him. One day at about 7 months she came over whimpering and did the daddy sign, I told her and signed back with ‘daddy’s at work’, she then stopped whimpering and went back to playing. Baby signing is well worth doing even if you just do a few signs, I bought the packs to continue with kiddiewink 2 at home, but tended to just use the ones I had learnt in class. Seeing them communicate at such a young age is fascinating and enlightening, and probably saves a few tears and tantrums along the way.